Sutekh is an odd looking skeleton demon, and he’s not thrilled with humanity. Firstly, Andre Toulon got his formula for reanimation and used it on his puppets and now, decades later, a group of scientists are close to figuring out the secret of reanimation through science. So, he needs to do something, and that something gives us the backbone for the fourth Puppet Master film, “The Demon”. A couple of scientists get killed, thanks to letting completely unchecked mysterious packing crates, delivered by a shadowy stranger in the middle of the night, right into the middle of their labs. They both mention Rick, the super-genius whose work is the inspiration for everything they’re doing, and we’re introduced to him, who’s taken a job as winter caretaker at…the Bodega Bay Hotel! Now, I don’t mind an artful coincidence or two when it comes to driving a plot along, but his presence there is never inspired by any visions, or research, and he’s got no idea what the puppets are, keeping Blade on one of the shelves in his “lab”. Oh, and no-one makes a reference to “The Shining”, either, which I expected. Luckily, he’s not alone, as his…girlfriend?… Suzie comes to visit (I don’t think they share any romantic time on screen), and she brings a few of their friends – Cameron, a scumbag scientist who is jealous of Rick’s success, and Lauren, a psychic who’s studying “metaphysics”. Either it’s a coincidence she’s a psychic, or the people who made this film have no idea what metaphysics means. I hate psychics, boring vision-having lazy devices for advancing plots. 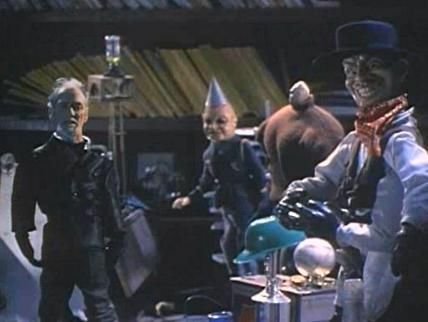 Sutekh, after dispatching the scientists, goes after Rick, but before his “Totems” can make it to the hotel, Rick and his friends stumble upon Toulon’s old case and decide to reanimate all the dormant puppets, who are nice and friendly this time round. 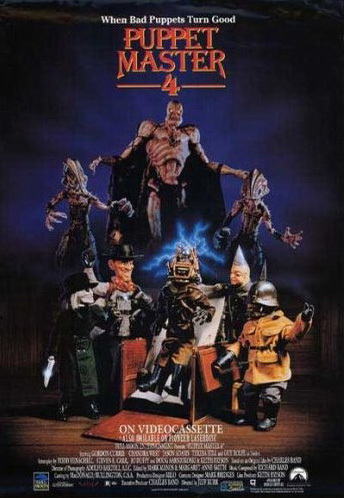 Now, for those of you who watched part 2, you’ll remember that Toulon was a villain in that, and after he died (again) the last woman he killed, her soul inside a mannequin body, took the puppets to a home for troubled kids. Clever place to hide weird stuff, but this film just ignores all that. She never existed, Toulon is the genial guy from part 3 and we the audience are left scratching our heads that they never even bothered with a minute or two of explanation. The link between this film and part 3, on the other hand, done in diary form, is pretty clever. The last bit of the film is the friendly puppets vs. Sutekh’s totems, with Toulon appearing in voiceover form to give advice. This includes the introduction of a puppet we’ve never seen before, the amazingly named DECAPITRON, who has a Wurzel Gummidge vibe to him (look it up). Lauren the psychic turns out to be a scream queen but the people I thought were introduced as cannon fodder do okay, apart from Cameron who deservedly gets sliced up and then ignored. The thing I’m quite surprised by is how much fun these films have been. The plots are tight, the puppets are well characterised and the endings are usually satisfying, unlike every other horror franchise. But the treatment of them all as individual films causes problems, chief of which is the way part 2 doesn’t fit into the continuity at all. Part 1’s evil puppets can be explained as them having an evil puppet master, the WW2 timeline issue repeated on every Puppet Master page on Wikipedia doesn’t bother me that much, the way the person who delivers the Totems never has his identity revealed is a bit weird, but it’s the confusing treatment of Toulon along with the part 2 problem makes me wish Full Moon Pictures had a stronger continuity department. With the film being under 80 minutes, too, they did have time to fit an explanation in there. Part 5 is billed as “The Final Chapter” and apparently does provide some conclusion, and that’s going to be next. 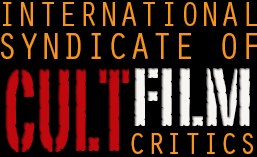 Of course, Full Moon decided to keep making them after a break of a few years, so we’ve still got many films to look forward to, including a Demonic Toys crossover with Corey Feldman in it. 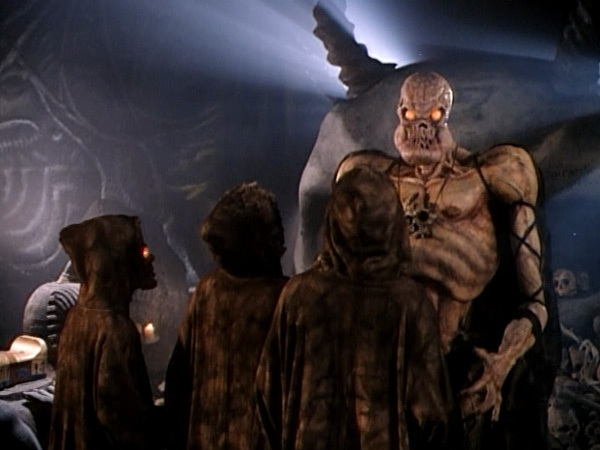 While trying to avoid future spoilers, I get the impression that Full Moon underwent the same fate as Jim Wynorski (whose story was told in the documentary “Popatopolis”) and their more recent films are super-low-budget quickies, thanks to the bottom falling out of the video rental market. I get the feeling these first five films are going to be the highlight of the series.